Warming up people one event at a time! 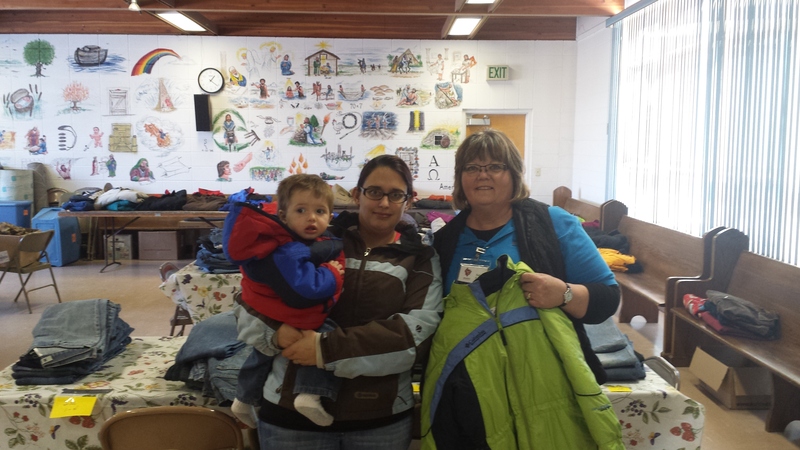 Pictured here is Kathie helping Amanda and her son find warm coats for the rest of the winter. Mission accomplished! The second photo is information we keep out on a table to help people with spiritual needs as well. 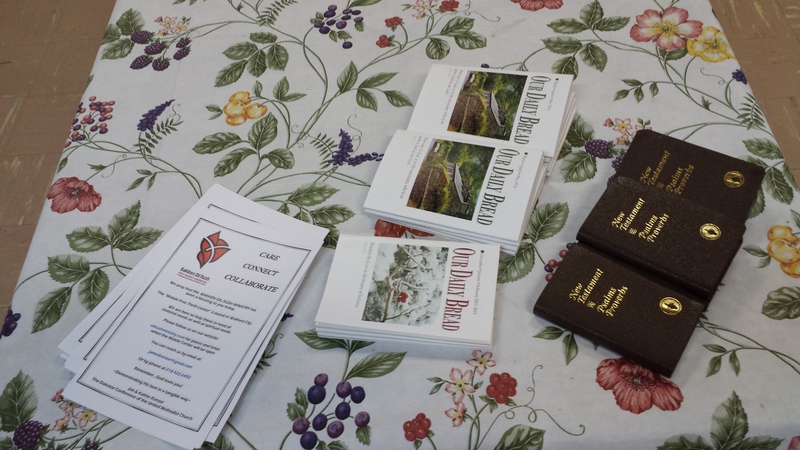 New Testaments, devotionals and a flyer that tells people why we do what we do and how to contact us for future needs. Thanks to Kathy, Kylie and our District Superintendent, Keith Nelson who helped us meet the needs of the families that came as well as pack up all the tables of jeans and coats left over when we were done for the day. Many hands make light work!